Only 60 Cup 380’s were built, and each one will be able to launch from 0 to 60 miles per hour in 3.4 seconds, with the Sport 380’s 0-60 mph rated at a brisk 3.5 seconds. In true Lotus fashion the feather-weight tips the scales at just 2330 pounds and boasts a top speed of 175 mph. 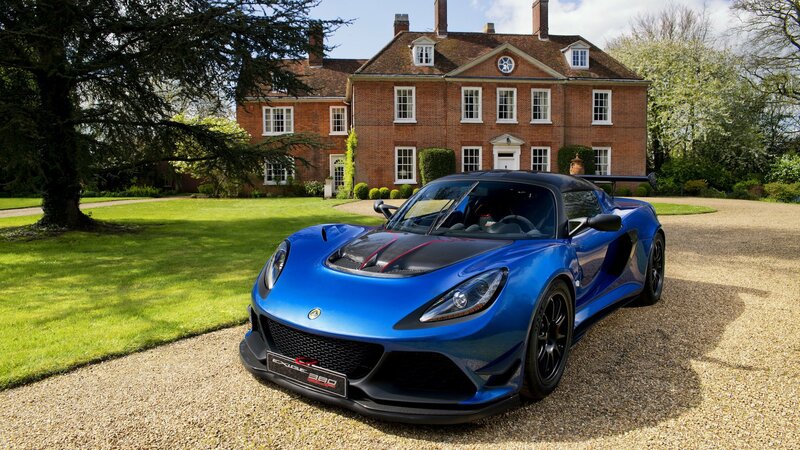 This Exige is powered by a supercharged 3.5-liter V-6 engine that puts out 375 horsepower that is connected to an open-gate six-speed manual transmission.. There are Nitron adjustable dampers and Eibach adjustable anti-roll bars that help keep this thing together and handleable while being shuffled around a race track. To make it stop, the Cup 380 is equipped with AP Racing four-piston brake calipers. The car can be optioned with an FIA-spec roll cage, an electronic cut-off, a fire extinguisher, and a non-airbag steering wheel if the buyer pleases. A T45 steel roll-over bar is fitted as standard.